A recent flurry of articles about the decadence of avocado toast was supposed to put us off the savory snack. But when we got to thinking about the deliciousness of a ripe avocado on sprouted rye—garnished with lemon and chili, of course—we decided it's a risk we're willing to take. In honor of the inimitable avocado toast, we decided to share a few inspired photos by Blue Bottlers, from California to Tokyo, who are just as entranced by this delightful pairing as we are. Judging by this snack's reception in our NYC cafes, we submit "The Big Avocado" as the city's newest nickname. 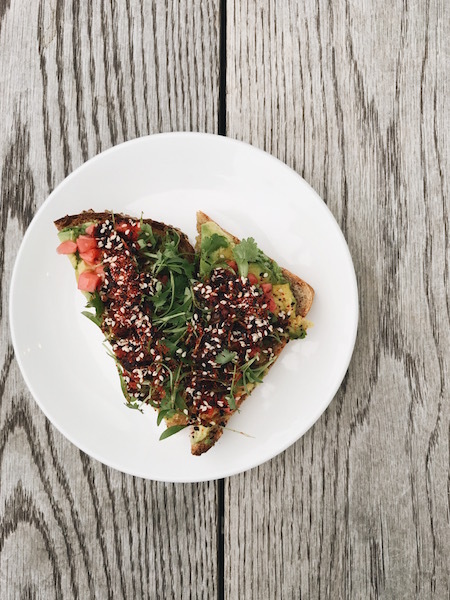 Our Tokyo cafes serve their avocado toast on sesame bread from Katane Bakery, and garnish it with olive oil, lemon juice, chili, and kosher salt. 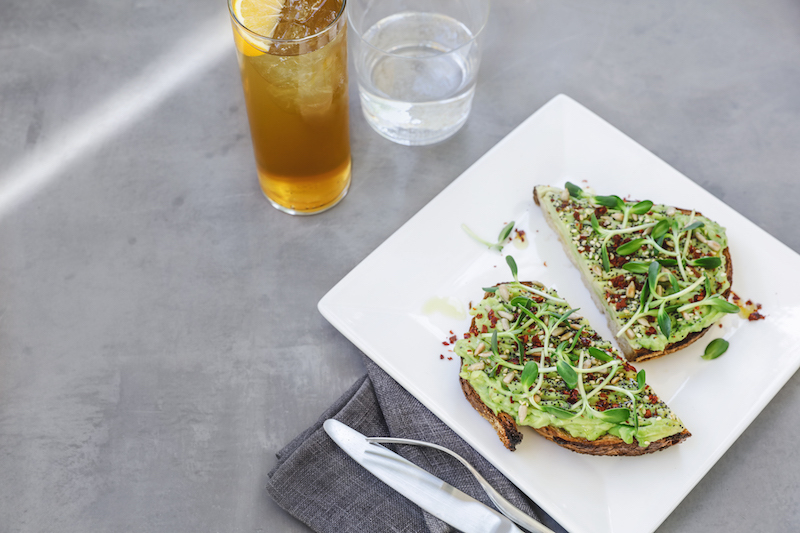 Bay Area guests should note that on July 26, Morse will be discontinuing our current recipe—which comes with radish, lemon juice, olive oil, cilantro, sesame seeds, and sea salt—to switch over to our simpler, though no less delicious, lemon and chili avocado toast. Substitute an English muffin for your bread and round out your snack with one of our sweet liege wafels.